Train like a runner: Do the long runs, hills, time trials and rest days. Eat sensibly, control your weight? up and down. 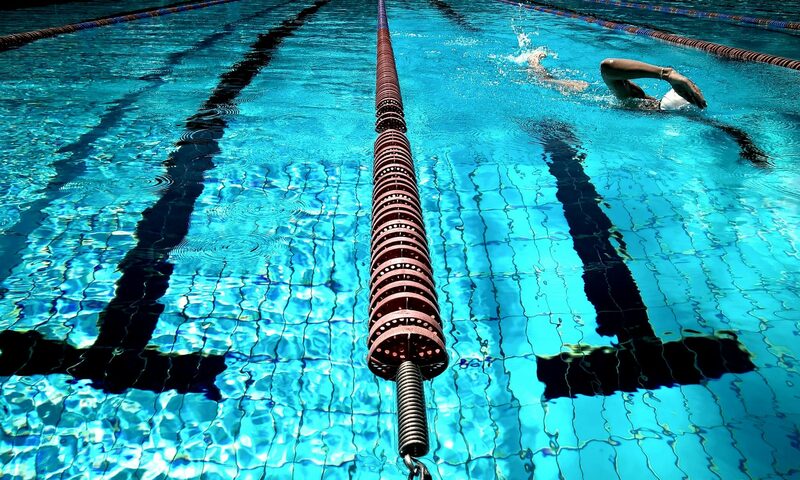 Train in similar conditions to what you will run in. 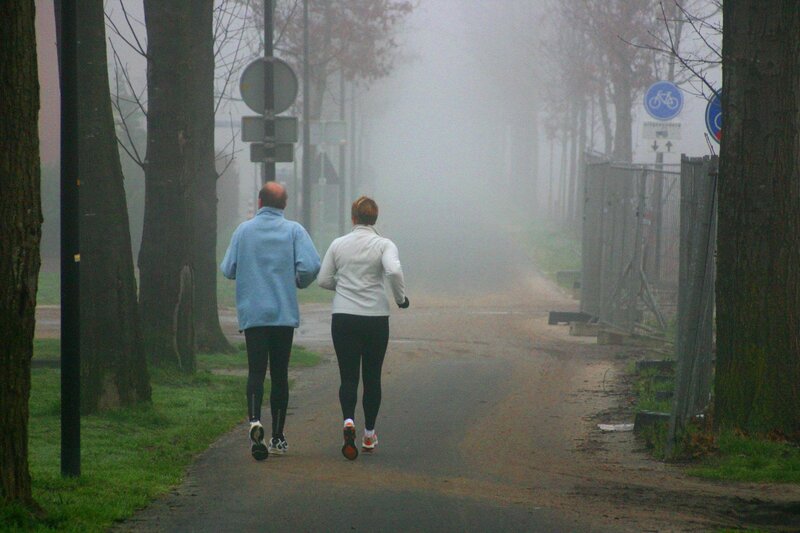 If is hot and you are in a cold climate – run indoors on a treadmill or outside with extra layers of clothes on. 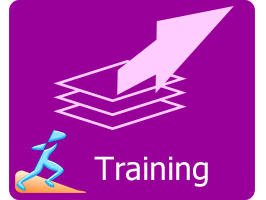 Train like a seasoned runner would, do the right things and your you will start to run easier. Running is sometimes very strange and sometimes you just can’t be explained. You can wake up one morning and have fantastic run or feel awful. Sometimes you can start a race feeling really awful and a half an-hour later feeling amazingly fantastic!!! So how do we manage these unpredictable moments and how do we get back to feeling awesome during our run. Years ago I could hardly walk up stairs, my knees were so bad from years of running endless marathons and ultra-marathons. The physio said my legs were weak, despite the cross training of gym sessions and cycling. What the physio was trying to say, is that my legs were not in balance. The muscles were pulling my kneecap and knee into the wrong place. So as stubborn as I was and determined never to go back to to the physio, after the pain of elbow and needles to fix my leg, I devised my own method of balancing my legs. 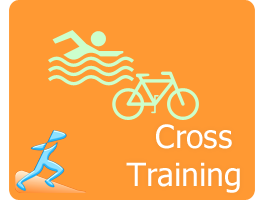 I headed for the water and designed exercises that simulated running in the pool. I had always relied aqua running with a flotation vest. This helped keeping me fit when I was injured but never gave me the real benefit of strong balanced legs and core muscles. 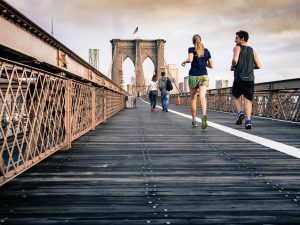 I discovered exercises that got me back on the road never to have another knee related problem again and on top of it alleviated cramping in my hamstrings; and I could run faster and farther without running as as much. Doing these exercises will not only get you back on the road but save you a fortune on physio bills. 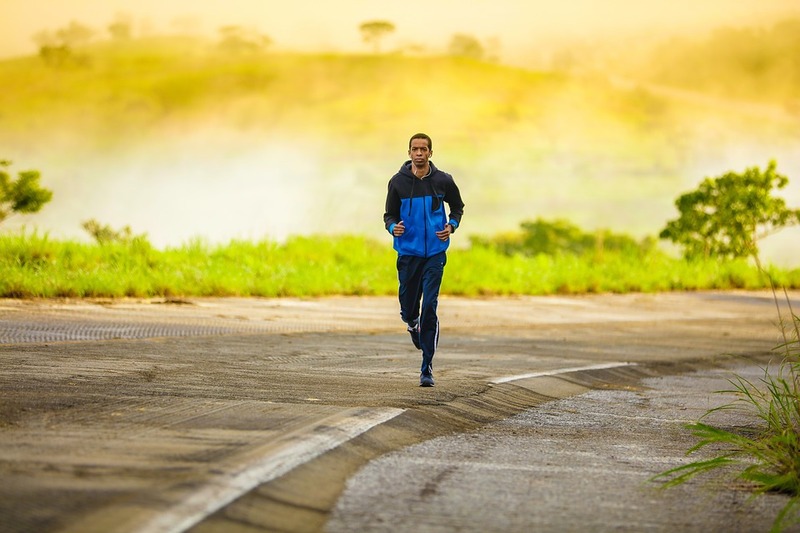 When running tell yourself – positive, emotive statements in the present tense. This is most probably the most important action we can do to enhance our running ability. Try a very negative example ‘I feel tired’ ‘I really hate running up hills’ – Only do this once!! You may find that you do say these negative self talk more often than usual, it’s time to stop now. When running tell yourself – positive, emotive statements; ensure they are in the present tense. Create your own mantra that you can keep you going when you are feeling great or through the challenging parts of your run or race. Keep them in the present tense – leave the past behind and ignore the future. Think of it, if you run a good time or not the only person who really cares is yourself. This may sound a bit harsh but running is to be enjoyed, its not a life or death situation. Sometime we put too much pressure on ourselves and take out the fun of running or competing. Remove that pressure from yourself and take away the pressure you exert on yourself to perform. 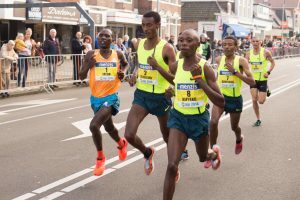 You will be amazed how downplaying this external pressure and focus on enjoying running as fast as you can you, will make is so much easier to accomplish your running goals. When is comes to racing and pushing ourselves to the limit come a certain amount of discomfort – discomfort pain. Running hard hurts, our body cries out to slow down and our minds are telling out body to keep going pushing through the pain (discomfort pain). 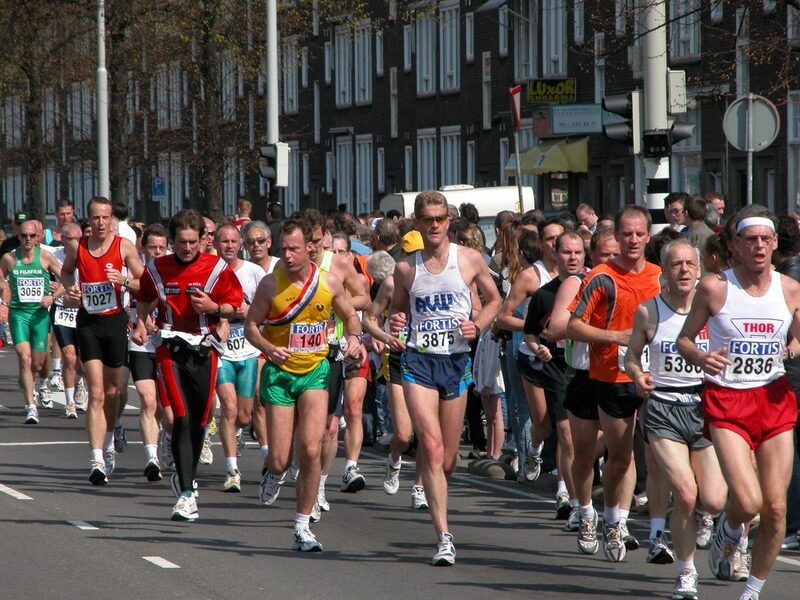 Learn how to handle pain running shorter faster time trials like hard 5km races or runs. The key to running through the pain threshold is to accept the pain, its not goings to go away. The sooner you accept it, the easier it becomes. Running is really a battle in your head and half the battle is won by just accepting the pain and not fighting it. Understand the difference between real pain and discomfort pain. Real pain can lead to injuries and a danger to your body – these are real warning signs to you to stop. Running discomfort (discomfort pain) is running through the tough parts of your race without doing damage to your body in anyway whatsoever. Your mind is a very strong weapon use it correctly!! Running a marathon or an ultra-marathon expends not only energy but creates the monotony of drinking sweetened energy drinks. Our bodies often crave something different, something natural, full of energy like an orange. In the days before energy drinks became available, runners and athletes used natural alternatives to boosting their energy. Oranges we often used because they just worked. Somehow Oranges made an athlete feel refreshed and ready go again. Over the years nothing has changed and especially after hours of running an Orange is a very welcome site for any runner. 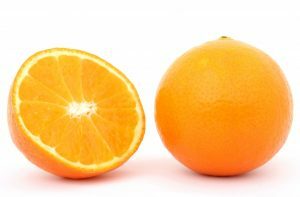 Oranges contain vitamin C that helps with repair the muscle damage, maybe not that quickly while you are running but the energy derived from one or two quarters of an Orange will certainly help you. The golden rule is try eating an Orange in training and see if it works before you run a race. 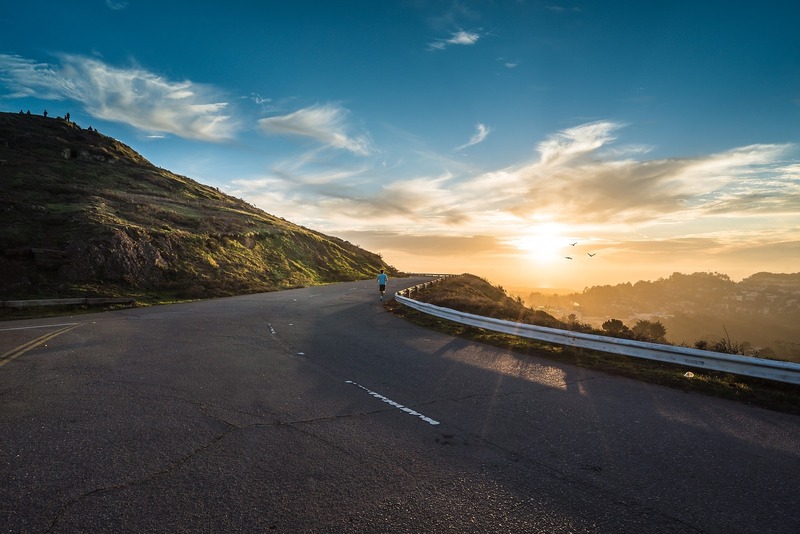 The final week before running a marathon or ultra-marathon is critical to calm your mind down. For many years I used to get so worked up before a major race. I was fit but all the ‘what ifs’ came flooding into my mind. After weeks of training my mind was almost talking itself out of the out for doing my best. This is very common amongst many runners. There are many techniques to take back control over your thoughts, your mind and your race. 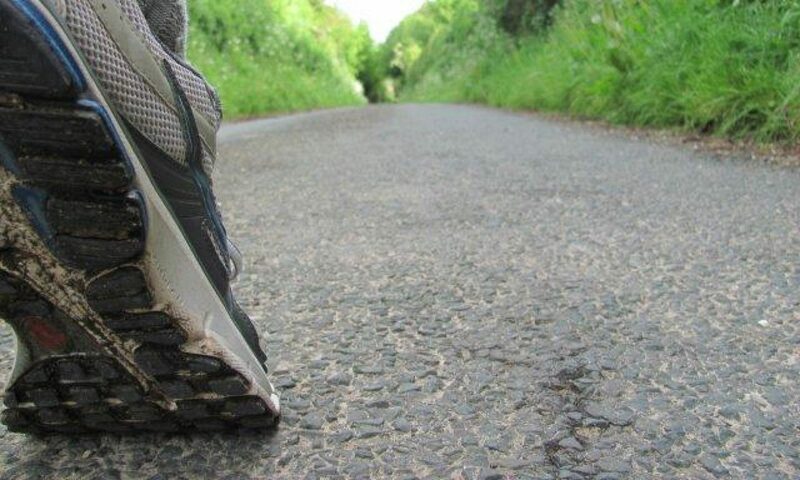 I used this technique to help me get ready for running many marathons and ultra-marathons. The idea is to it to scare your mind as if you are running the race tomorrow, so by the time the race arrives you have been through all the emotions of excitement ,fear, eagerness and the night before you are calm and relaxed. 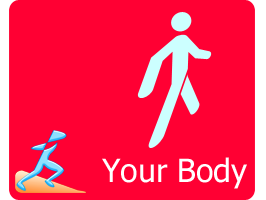 Start a week before the race, you would have started to taper, so your bodies energy will be coming back again. It’s now the right time to start focusing on your race. Imagine you are running your race tomorrow, visualize everything about the start the excitement, live in the moment, the people around you, the smells, create a perfect race, full of excitement you are in front of everyone, hear the people screaming, draw from their energy. What if I am feeling awful at 10km in the run? No problem I will slow down and walk for 20 seconds, calm my heart and breathing down and restart my race. What if I don’t get my energy drink? No problem I can easily use a drinks from the tables which I have tried before, just relax and stay focused. 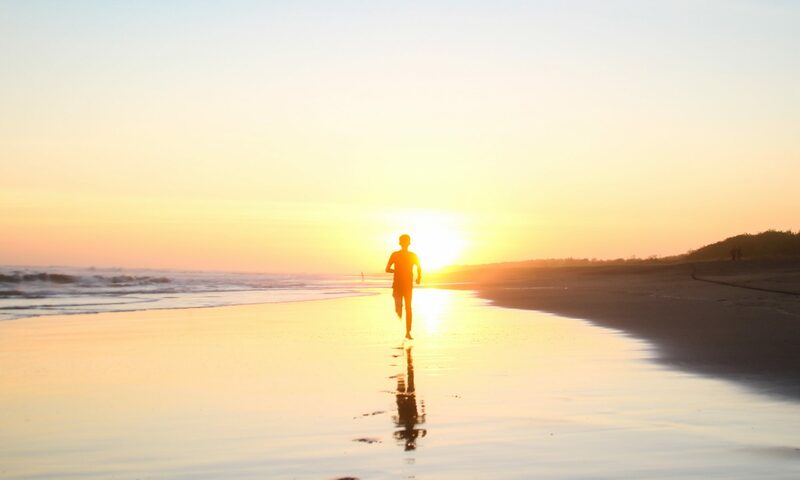 So for the 7 days before your race play out ever scenario you can think of – get it out of your system, then the night before the night before your race visualize something you enjoy completely different – like that perfect golf swing, walking in the mountains, surfing the waves anything outside of running. You should be totally relaxed ma mentally prepared for your race and fall asleep. Running hills can either be nightmare or a challenge for us. We might be hanging in there using every bit of our energy left or feeling amazing and pushing ourselves literally flying up the hill. Either way keeping our eyes on the road 2 or 3 meters in front of us will keep us distracted from the challenge. Each step is really only about a centimetre or two, unless you are running up a ridiculous hill or stairs! Our bodies are doing one step at a time. I fact running up stairs will teach you to focus on running this technique – if you don’t look at each step you will very quickly learn to focus on each step. Running hills using our minds correctly only makes then less steep and shorter. So when running up that hill, don’t look at the hill, look 2 or 3 meters in front of you and make running hills easier. Running made easier, farther and faster. Practical tips so you and run with motivation and passion. How do you run. Simple techniques of how to run easier, longer and faster. Having a healthy, strong body is the foundation of easy running. 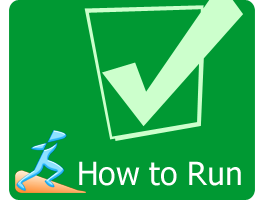 How do I train properly to run like a runner. 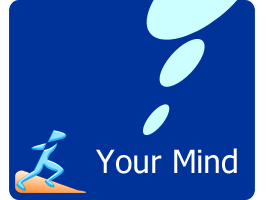 Running is 80% in your mind. Its simple get your mind right and your running will follow. When running tell yourself - positive, emotive statements in the present tense. Running a time trial a race, pushing yourself to to the distance or your goal time. 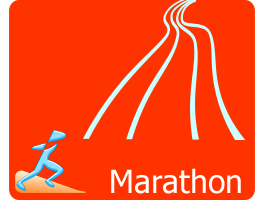 Step up to the Marathon, 42.2 kms of running. 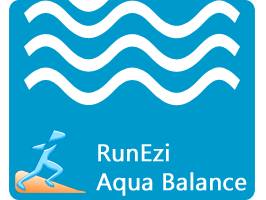 RunEzi specific exercises in water but not running in water. 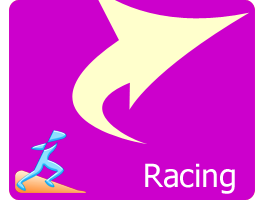 Increase your endurance reduce your training and injuries. What do we need to do as an alternative that will benefit our running. 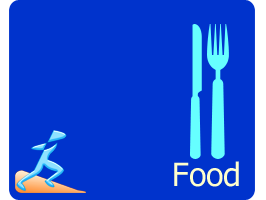 What we eat will have a positive or negative effect on our running, what food should we eat and drink.